KBSS Engineering can access a mill like nothing on the market today. 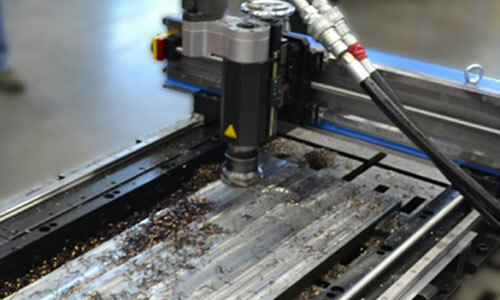 Configure this mill for Linear or Gantry milling in nearly any position! Modular bed sections allow the length to be expanded from 48 – 96 inches (1219.2 – 2438.4 mm) without losing rigidity (with 36 – 84 inches (914.4 – 2133.6 mm) of travel).